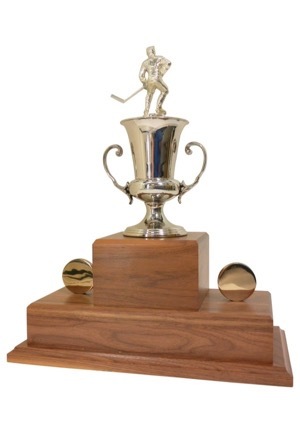 Jacques Demers helped turn around the struggling Detroit Red Wings who won just 17 games in 1985-86 and led them to the Stanley Cup Semi-Finals in 86-87. 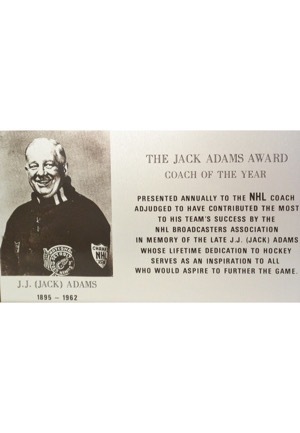 His excellent work was rewarded with the Jack Adams Award, given to the NHL’s coach of the year. 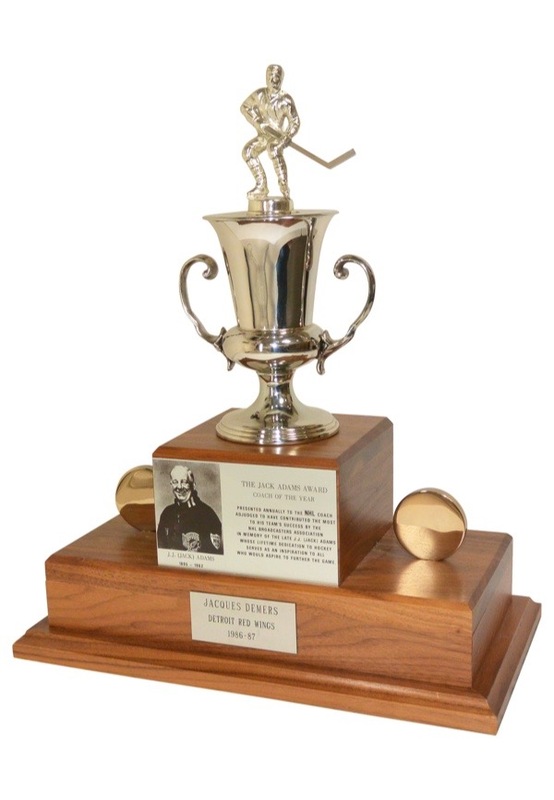 His personal miniature stands 16 inches high with a base that measures approximately 13x7. The award features a hockey player atop a handled and covered cup while an image of the former Red Wings Hall of Famer is on a metal plaque that explains the award. 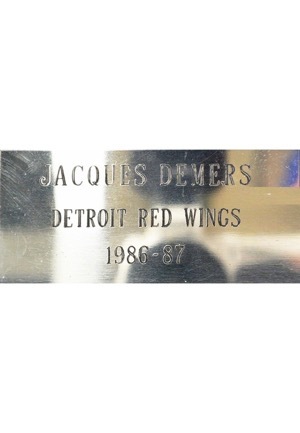 Below is a plate which is engraved reading “JACQUES DEMERS - DETROIT RED WINGS 1986-87”. 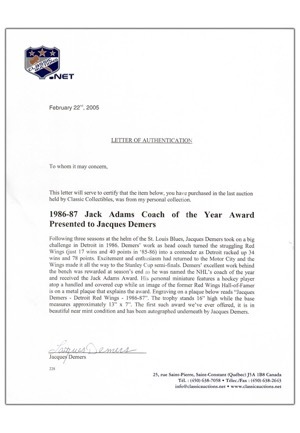 Demers signed the bottom of the award in black marker and in our opinion the signature rates an 8. Accompanied by a LOA from JSA and a Demers LOA.